I am a visual person and I love when designer replace text with an image of the actual thing. How about getting back to a browser tab by selecting the view of the page that you want to keep reading. 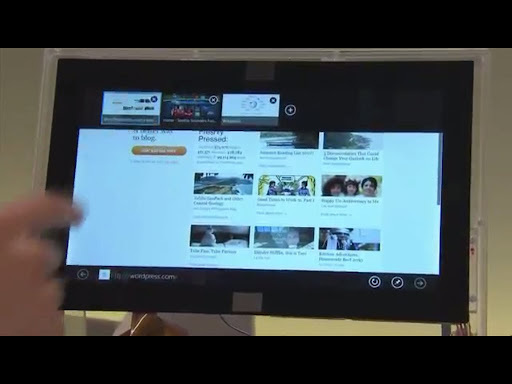 In the Metro Style Browser in Windows 8 displays the open tabs with a list of thumbnail of the page in a bar on top. The bar doesn't show up and take additional space, unless you tap on the top portion of the screen. In which case the bar appears temporarily as on overlay over the browser.